TheWiseDC.com is the most popular and respected source for online Chiropractic Continuing Education in the industry. TheWiseDC.com provides chiropractors with a large choice of Cutting Edge Topics offered in 2 hour, 4 hour, 6 hour, 8 hour, 10 hour, 12 hour, and 15 hour modules. This format allows the subscriber to meet the hourly credit requirements for their particular state. TheWiseDC.com online Chiropractic continuing education courses allow you to Learn At Your Own Pace in the comfort of your home or office at any time of the day or night, 24/7. Read the text, complete the required hours and course activities, successfully complete the multiple choice quiz and immediately print your certificate of completion. TheWiseDC.com is a wise and Cost Effective choice for all of your chiropractic continuing education needs. By taking our online courses you completely eliminate all travel expenses typically incurred when you take an onsite seminar. TheWiseDC.com is User Friendly and easy to navigate. TheWiseDC.com is available to answer all of your questions and offer you a positive online educational experience. Our Customer Service is second to none. TheWiseDC.com is Sponsored by CCE accredited colleges and approved by PACE. Check to see if online continuing education credits are accepted by your state board by clicking on the “courses by state” menu for the approved courses listings. TheWiseDC.com online Chiropractic continuing education courses were created by Dr. Louis Camilli to facilitate the continuing education process for the Doctor of Chiropractic. Dr. Camilli began offering his live seminars nation wide in 1994. Dr. Camilli pioneered the transformation of onsite chiropractic seminars to internet based learning for the Chiropractic profession. To view instructions on how the site works, click the menu button for Course Procedure, or just click on the Register For Account button to register with a username and password. You can purchase a course after registering by clicking on “courses by state”. What Online Chiropractic Continuing Education Courses are offered? 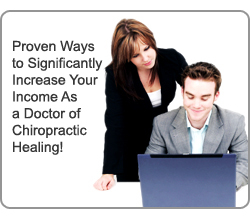 How do I earn Online Chiropractic Continuing Education Credits? Read and review the course material and engage in required course activity. You may take breaks after each hour. After completion of the required hours, click the Take Test link to answer a comprehensive multiple choice test. Upon successful completion, with a passing grade of 75% or better, you will have the ability to instantly print out your official course completion transcript from your account. You can go back and try the quiz again if your score is below 75%. What is the Cost of Online Chiropractic Continuing Education? Browse to “Courses by State” from the menu to view courses and currently discounted courses. What Certification and Certificate programs are offered online by TheWiseDC.com? The Wise DC is recognized by the PACE program of the Federation of Chiropractic Licensing Boards.